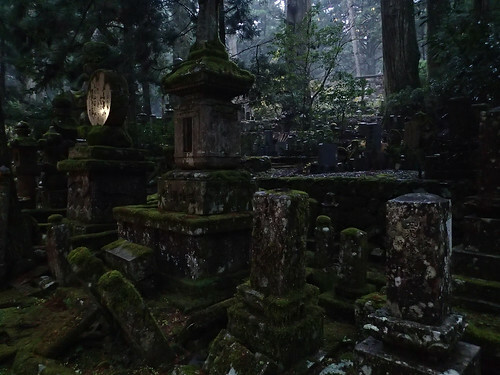 We really enjoyed our overnight buddhist temple stay in Koyasan, an isolated UNESCO World Heritage listed Japanese mountain town that’s been home to Shingon Buddhism for over 1200 years. It’s a good thing we like trains because it took us 6 hours and 11 minutes to travel from Matsumoto station to Koyasan station. Our first 2 hours was spent enjoying the view on a Shinano Wide View limited express train to Nagoya. From there we caught a Shinkansen Hikari train to Kyoto Station. Our next train was a local JR special rapid service to Osaka station. A short trip on the Osaka local loop line brought us to Shinimamiya Station where we exited JR.
A few metres from the JR exit turnstile we bought tickets on the Nankai Railways network. First we caught a Nankai express train to Gokurakubashi station, make sure to get a carriage at the front of the train as our train split partway to the destination. 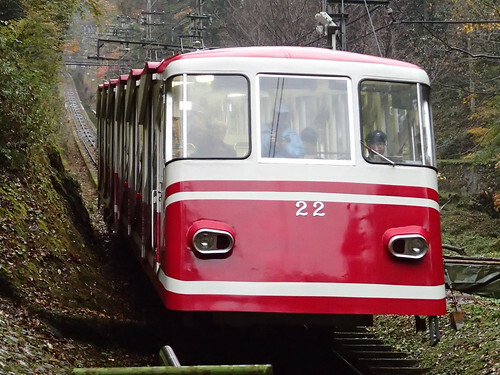 Then we caught a Nankai cable car ride to Koyasan. 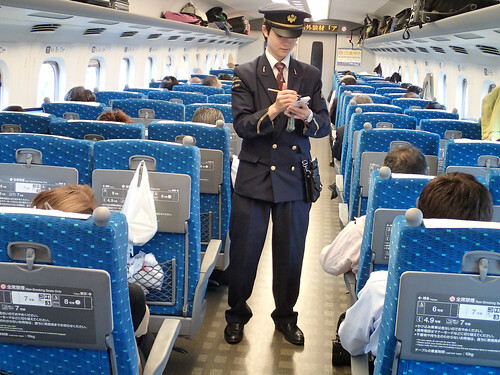 Alternate train route from Kansai Airport: 32 min from Kansai Airport to Tengachaya Station by Nankai “Rap:t” (limited-stop express), and 1 hour 25 minutes from Tengachaya to Gokurakubashi Station by Nankai Line “Koya” (limited-stop express). 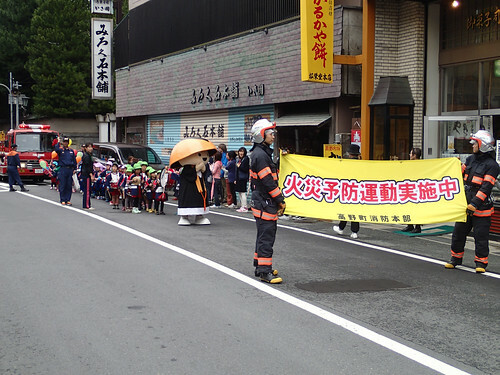 From Gokuraku-bashi, take Koya-san Cable to Koya-san, 5 minutes. 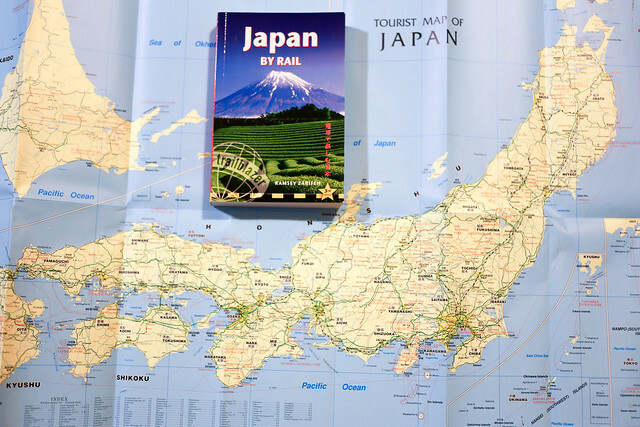 Alternate train route from Tokyo Station, 2 hours 30 minutes by JR Tokaido Shinkansen Line to Shin-Osaka Station. 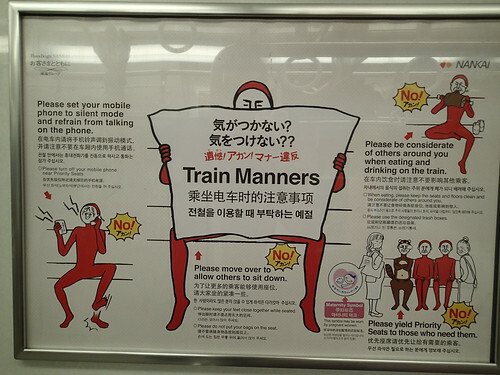 From Shin-Osaka Station, take subway to Nanba Station, 15 minutes. From Namba Station, 1 hour 30 minutes by Nankai Tetsudo Line Express to Gokuraku-bashi Station. 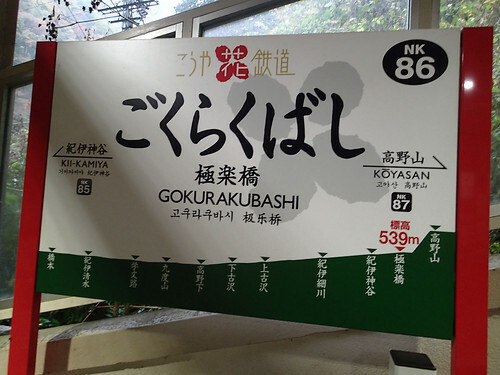 From Gokuraku-bashi, take Koya-san Cable to Koya-san, 5 minutes. When our cable car reached Koyasan it was raining quite heavily so we grabbed 2 loan umbrellas and caught a waiting taxi to our overnight stay accommodation at Shojoshin-in temple which we had booked through JapaneseGuestHouses.com. 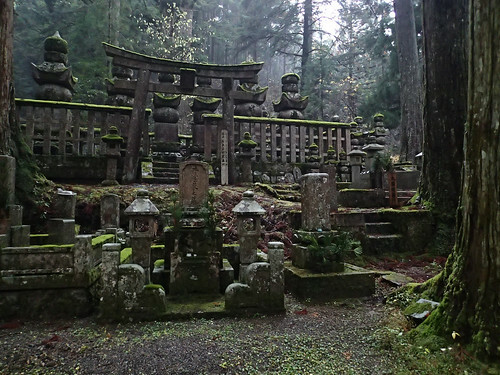 Shojoshin-in is a large traditional Buddhist Temple, one of the oldest temples on Mount Koya (Koyasan). 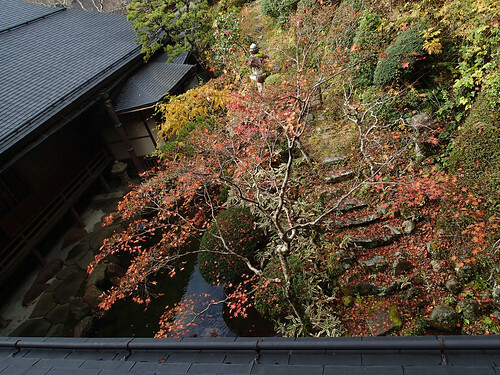 Shojoshin-in has Japanese style guest rooms with shared baths for both women and men, as well as a more expensive “Hanare” (private guest residence which has a private bath and toilet). Bring enough cash to pay for your temple stay accomodation upon check-in as most Koyasan temples don’t take credit cards. You’ll have to take your shoes off before entering the temple and store them on a shelf. 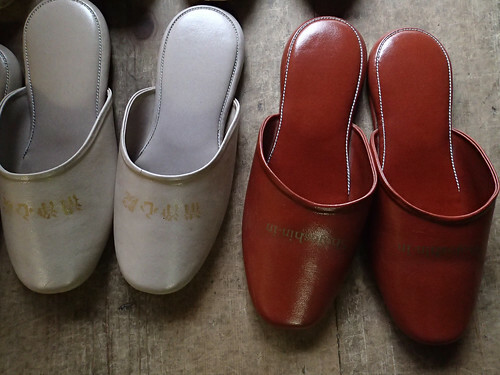 Women and Men have different slippers and you’ll have to wear them everywhere in the temple except in your room. 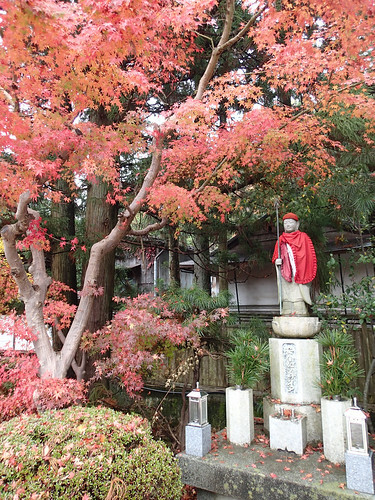 Shojoshin-in temple’s entrance is perfectly located a few metres from the atmospheric tomb lined walk to Okunoin, one of the most sacred places in Japan and a popular pilgrimage destination. This walk is best taken during the evening when light levels are low. 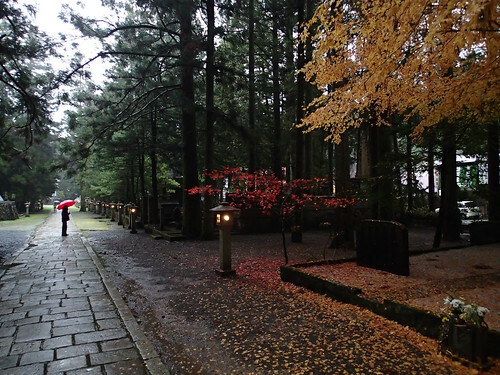 It was raining while we walked along the trail which made the lanterns even more atmospheric. In the evening we enjoyed a perfectly plated “Shojin Ryori” traditional japanese buddhist vegetarian meal followed by hot bath relaxation. 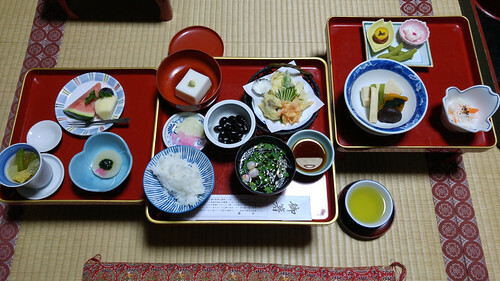 Shojin-ryori is special vegetarian food made using only vegetables, cereals and seaweed. 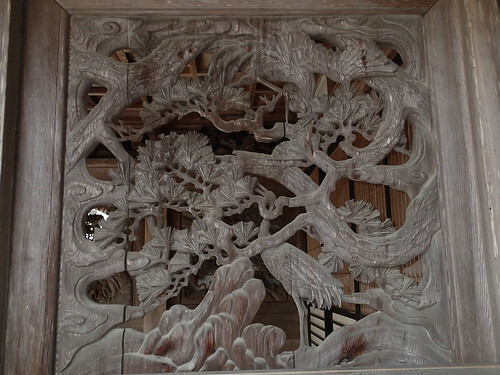 We opted for a Japanese style room which had doors that overlooked a garden and pond below. 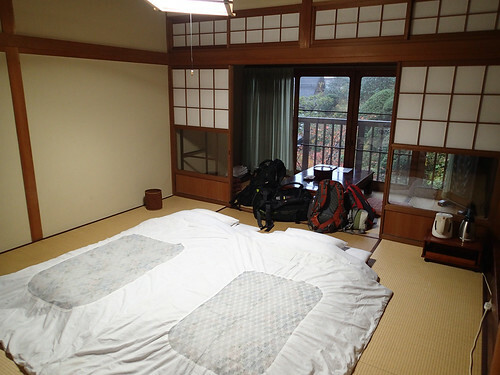 I was a bit worried that the traditional Japanese way of tatami mat floor sleeping would be uncomfortable but we actually slept well. In the morning we woke up early for a 630am ceremony performed by the Buddhist monks, followed by an equally excellent breakfast. 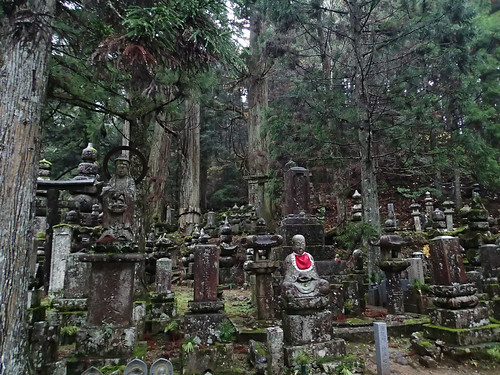 Despite these restrictions and the time it took to get there by train we definitely recommend visiting Koyasan, staying overnight at a temple that serves Shojin Ryori Buddhist vegetarian food and walking in Okunoin.